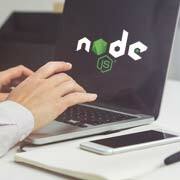 Node.JS is one of the advanced platforms that Outsource2india's highly skilled team of developers has been using to build and power our client's applications. Outsource2india's developers are highly experienced and are well-versed in a variety of different programming languages, thereby helping to guide you in finalizing the most practical and cost-effective approach to your project. One of the most important elements of application development one needs to focus on right from the beginning is the architecture or the build. This includes deciding on things like the platform, hosting and deployment of your application, etc. Outsource2india will work with your company to evaluate your needs and create a plan of action that includes how to implement databases, file storage and incorporate other advanced processes into the build. Outsource2india offers support, hosting, and maintenance plans for API integration in order to ensure that your system and application remains robust and up-to-date. We are also available to answer all of your technical questions and will help you move your business forward by addressing all immediate business needs including developing and marketing. Our developers are committed to developing and using cleaner coding practices that helps avoid errors and maintenance issues. When coding is done properly, errors are easier to control, identify, and rectify. It also provides a more transparent and easy to understand coding system. Outsource2india has the required expertise in node.JS migration, i.e. converting any legacy system based on any other platform into a node framework thereby making it faster and more efficient. Most applications are created for use in scaling large network systems that require having to create multiple instances of APIs. APIs help to improve the process of interaction between a range of software, devices and platforms. Understanding how to employ API's for quick response time is essential to an applications' success. With our developers you can be confident that your APIs are going to be fast, accurate, and reliable. Outsource2india's software development services offer complete transparency of activities and deliverables, strong project management skills, and continuous communication in order to ensure 100% client satisfaction. Hire dedicated Node.JS developers from Outsource2india for scalable Node.JS application development projects and Node.JS consulting services. Our Node.js developers are known for providing the best Node.JS web development solutions that help steer your business to new heights. Our commitment to long-term partnership is reflected in full-cycle Node.js services covering every aspect of development and implementation. If you have any kind of Node.JS development requirement, feel free to get in touch with us and we will get back to you within 24 hours.